I was cleaning off old photos from my phone, and realized I had taken a bunch of Hal at different art events. 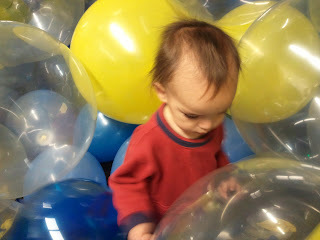 Here's the link to Hal surrounded by RGB lights, balloons, and inside a cardboard tent fort. Next week, I'll be giving a talk at the media lab for the developing countries workshop based on my research. I'm really looking forward to presenting my work alongside my colleagues Rich and Leo, who have also done some pretty cool things in remote places. "Inside-Out: How Developing Countries are Pioneering New Technologies in Health, Education and Civic Media"
While new technology is often associated with developed countries, the most radically innovative ideas are often deployed first in developing countries, where the need is greatest and out-of-the-box thinking is plentiful. The most creative technologies, business models, and emerging trends can be seen in developing countries often years before they take root in countries like the USA. In this workshop, we will briefly review a few of the developing country projects the Media Lab has spearheaded over the past 20 years and point to disruptive emerging tends in Healthcare, Education, and Civic Media that are currently transforming the world. Many examples will be given, followed by open discussion with participants. 1-hour session, repeated twice. Rich Fletcher teaches the MIT class "Technologies for Developing Countries," and is currently Assistant Prof at UMass Med School, Director of Mobile Technologies, Dept of Psychiatry; and is also Research Scientist at Mass General Hospital, Department of Pediatrics, Global Health Division. Angela Chang is a post-doc specializing in new technologies for literacy and is currently part of the research team creating and testing new scalable approaches to literacy in remote parts of the world. Leo Burd is Research Scientist in the Center for Civic Media and has devoted the past 15 years to developing new communication and social media tools for use by communities and children around the world.